So, I decided to make mini quiches because I wrote on the shopping list “DO NOT BUY EGGS” and ended up with eggs. 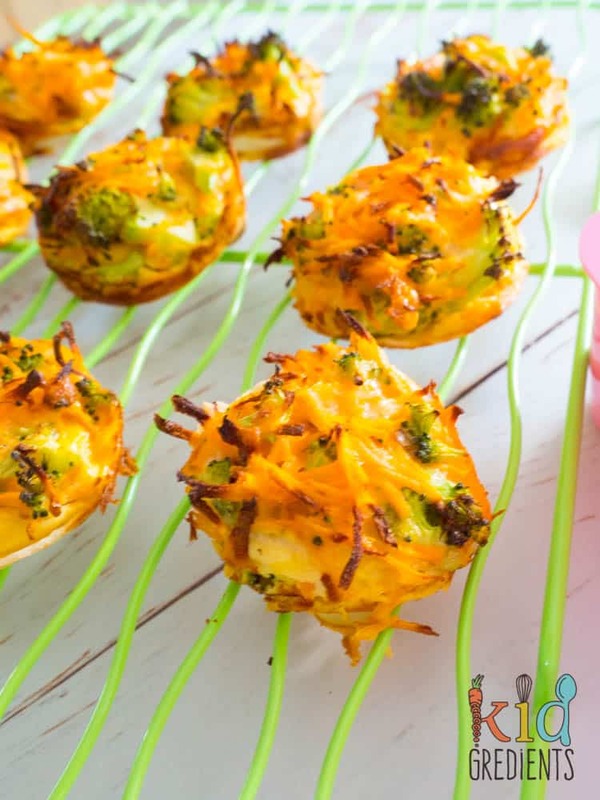 Then I realised I had no puff pastry and hungry kids waiting for the mini quiches, so I used tortillas and cut them to make the bases…and thus…sweet potato, broccoli and carrot tortilla quiches. 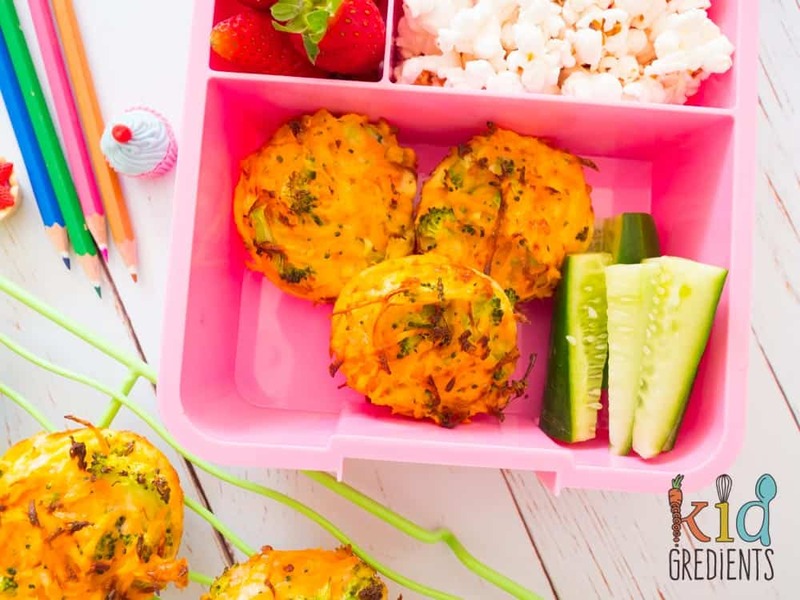 Lunchboxes will love these! I love popping extra veggies into the things I make for my kids for lunches as it helps to alleviate the pressure on dinner. It’s hard enough trying to get the kids to eat veggies, let alone trying to cram them all into the busiest meal of the day. So do yourself a favour and pop them in the lunchbox too! Super kid friendly and packed with good stuff, you are making sure the kids get an extra protein hit as well thanks to the eggs and cheese. They are also cute and yummy, so they tick all the boxes. I have frozen these and they turn out just fine in the lunchbox defrosted. Just freeze on a tray and then transfer to a container or ziploc bag when solid. To stop the tortillas sticking to the muffin pans, you MUST spray with oil or use silicone pans. Basically the oil helps the tortilla base to crisp up and therefore be more solid and easier to remove. 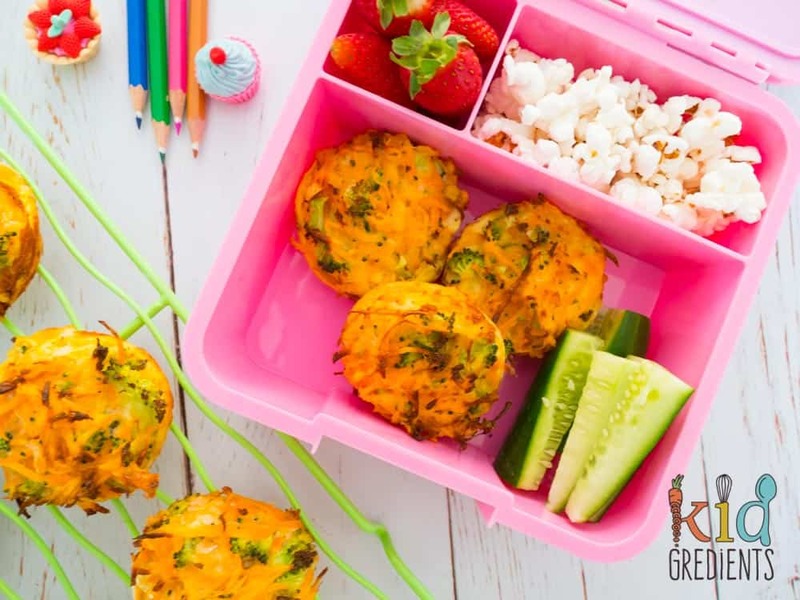 When it comes to making kid friendly lunchbox food, it is important that you don’t scare them off, that’s why I have chosen the veggies my kids love for these quiches. There is no need to cook the sweet potato before putting in as it is grated and cooks really quickly because of that. 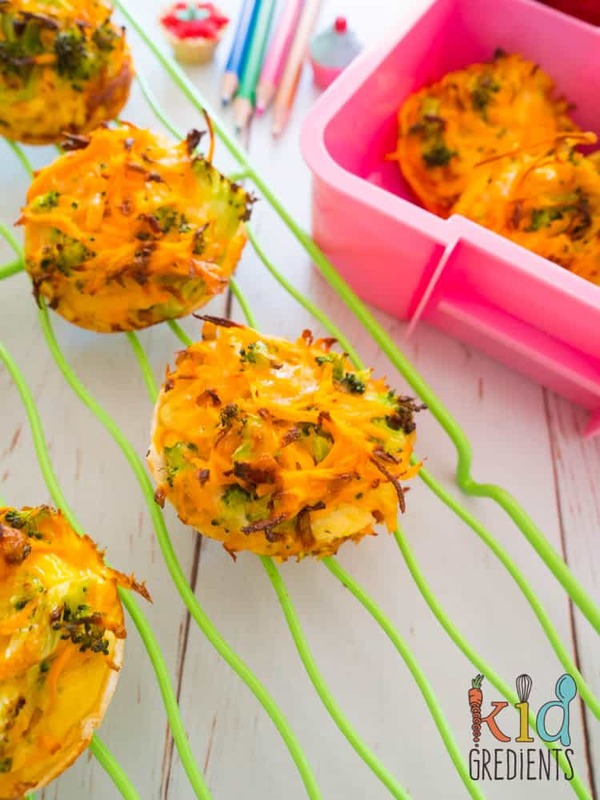 If your kids don’t like broccoli, then swap for zucchini as it has a different texture and is less “obvious” in the mini quiches. Add the veggies and mix through. Cut tortillas into rounds. 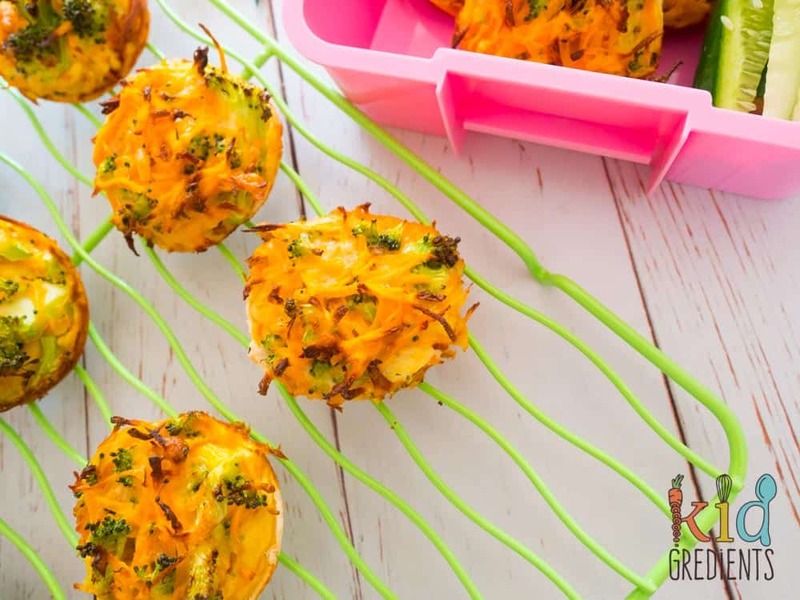 Spray muffin pans with olive oil spray and put in the tortilla rounds. Top with the veggie egg mix. Bake at 180 degrees for 15-20 minutes or until set. Looking for more quiche ideas? 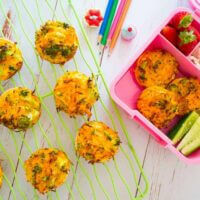 Check out these lunchbox mini quiches or this family sized sweet potato, bacon and leek quiche. 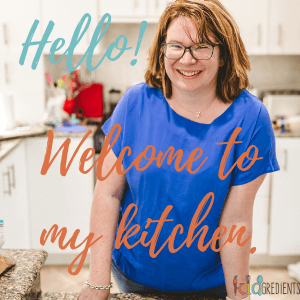 Previous Post: « Mother’s Day breakfast – plus a present!